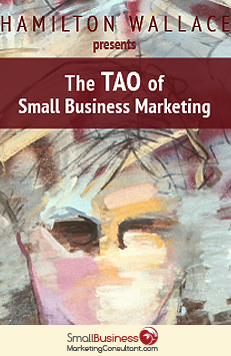 Tao is a Chinese concept for “way” or “path.” Which, by itself, is a great way to define my book: the way or path of small business marketing. But there’s another idea central to the concept of Tao. The Tao expresses the underlying natural order of things. 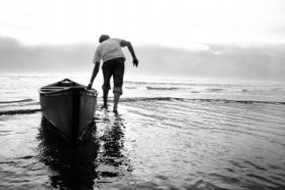 But it is said too, the Tao cannot truly be described or understood. It can, however, be known. . . This eBook is my attempt to share the ideas that I have come to KNOW work in the world of small business. I never thought I’d write a book about small business marketing — things change too quickly, I thought. I was wrong. Human communication changes, human nature does not. Enjoy the book. It’s meant to be a quick, practical read that not only gives you things to do today, but also fuels much thought and, hopefully, positive change. By the way, some have asked about the artwork on the book cover. It is part of a painting we own by a very talented figurative artist, John Dawson. Are you a Marketing Consultant? Are you a marketing consultant wanting to grow your practice? I'm happy to work with you and share what I've learned. Buy an hour of my time and ask me anything. It's a big world out there. Plenty big for both of us.